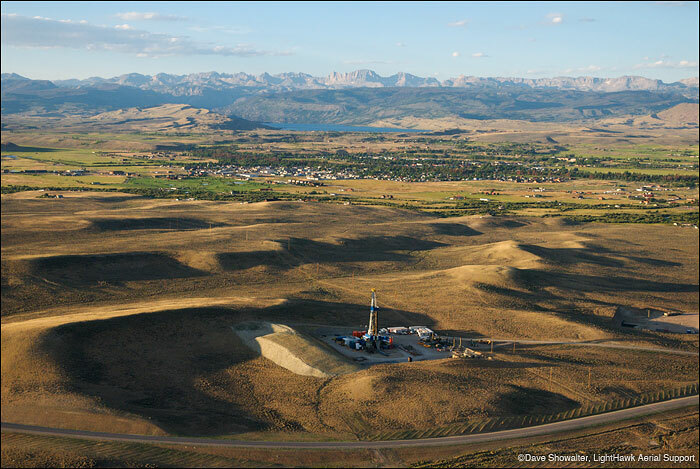 A natural gas drilling rig in the Pindale Anticline Natural Gas Field near Pinedale, Wyoming. Drilling on crucial mule deer winter range has devastated the Pinedale mule deer herd, and impacted pronghorn and Greater Sage-grouse. Photo © copyright by Dave Showalter.